Admittedly, I've been very lazy on the blogging front. I would lie and say I have been revising but I haven't really been doing a huge amount of that, in all honesty. But I have finally sat down - at 1am - to write a blog post of what I have been enjoying lately which I hope you enjoy. I saw an advertisement for this clothing line whilst on Facebook and instantly fell in love. I had a bit of a soft spot for really classic, beautiful things being mixed with pop culture - anyone else seen those pictures floating around online of rap lyrics really beautifully embroidered? I love that kinda thing. This brand called Fly Art is sold on a website called Rad. Rad also has lots of other nice pieces from a range of brands - in fact, you can buy a crop top with the slogan 'Rollin' With The Homies' on it. Clueless, anyone? Anyway, these are the few tops which I especially liked. 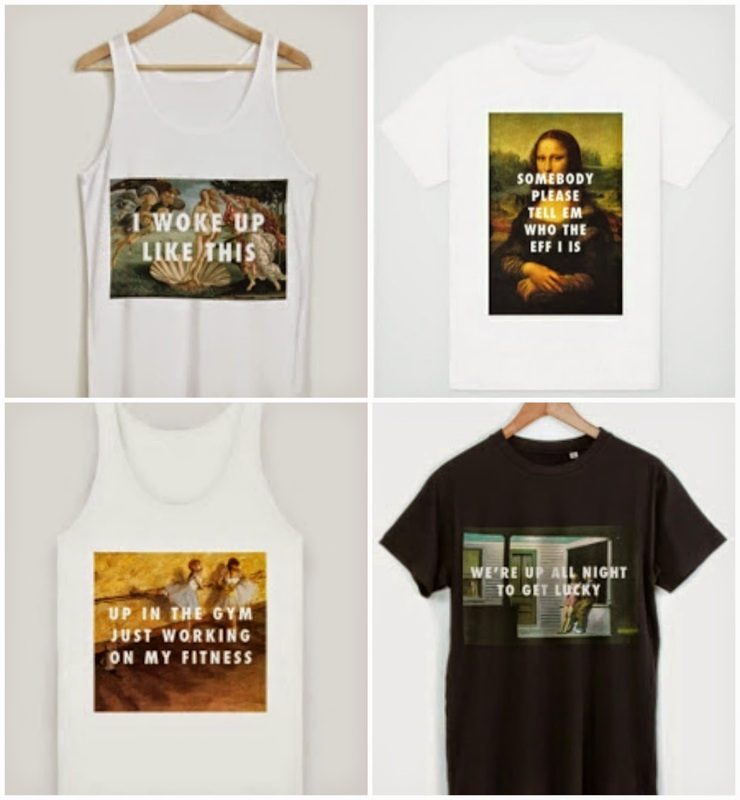 My favourite has to be the 'I Woke Up Like This' vest top though. Pretty tempted to buy it, in fact. The truth is, in small Devonshire towns, the charity shops don't tend to stock much that is really all that great. I mean, book-wise, they're great. But for clothing? Not so amazing. However, it's a different story here in Cardiff. The charity shops actually have really great clothes in them. Most of the items look just like new and are from top brands like Topshop and Zara and River Island. I mean, if I can buy a Topshop dress for under £5 which looks new then why would I go anywhere else? Here in Cardiff, I find the best bargains in the charity shops on Albany Road in Roath and the few near the central train station. But my ultimate favourite charity shop in Cardiff is the Oxfam Boutique shop near the city centre on St. Mary's Street. It is so well laid out and they get some really nice things in. All the clothing is arranged by colour which is really nice and doesn't have that feeling of walking into a dressing up shop which some do. It is certainly a must-visit for every bargain hunter. I recently bought a watermelon print Soulcal & Co crop top in there and any establishment which sells watermelon clothing has my vote. I'm sure the world and his dog know about this product but it really is amazing, right? It smells so delicious and cocoa-y and the consistency is quite thick but it isn't heavy. I'm sure no-one has ever had a bad word to say about this product. It's especially good if you need a fairly strong moisturiser but it's perfect for me even though I tend to use quite light moisturisers. 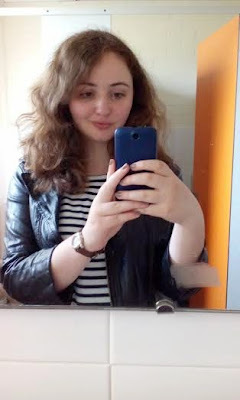 Can we all just take a moment to appreciate the amazingness that is a good leather jacket? I have been pretty much living in my fake leather bundle of happiness. I really do intend to buy a slightly better quality one as mine is second hand off eBay - originally from Primark - but is just getting a bit worn out now. I remember I first wore it to a King Charles gig so it has served me well in all my rock-and-roll pursuits. Lately I have been teaming it with mostly jeans and t-shirts. I hope you enjoyed this post and hopefully I'll be posting more regularly from here on in. I would love to hear what things you're currently enjoying. Once you have found a good opshop where you are living, you are definitely one of the locals. 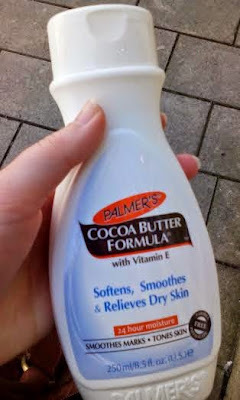 I'm a big fan of Palmer's cocoa butter too. That charity shop looks like a dream - I'm so jealous! There are some amazing ones where I'm from near Manchester but I live in London now and they're all so much more expensive and there are never many good finds so I never go anymore..